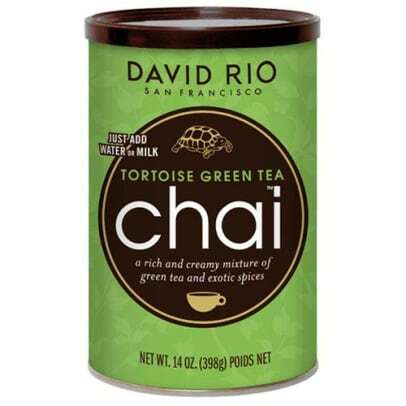 If you like tea with creamy milk, you will love this Tortoise Green Tea Chai from David Rio. 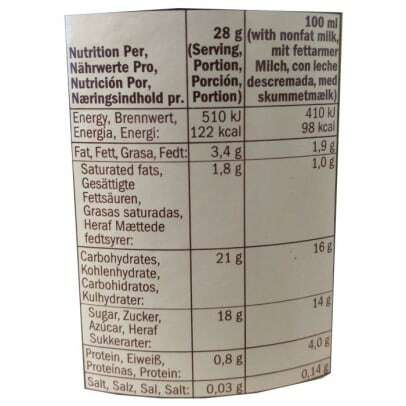 You will get a delicious chai latte, that is based on green tea. 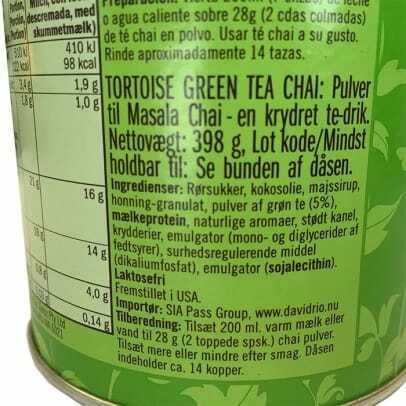 The tea is filled with lovely spices and has a taste of vanilla and the well-known chai. Mix some chai powder with hot water or hot milk and stir well. When your chai is ready, you can enjoy a delicious cup of creamy tea.